Larry Gearhardt joined Barrett, Easterday, Cunningham, and Eselgroth, LLP, in an “of counsel” capacity in January 2016. Most recently, Larry was the Director of the Ohio State University’s Income Tax Schools and served as the resource person on tax issues for OSU Extension. He served on the Rural Tax Committee, which reviews and edits IRS Publication 225 (the Farmers’ Tax Guide) on behalf of the Internal Revenue Service. 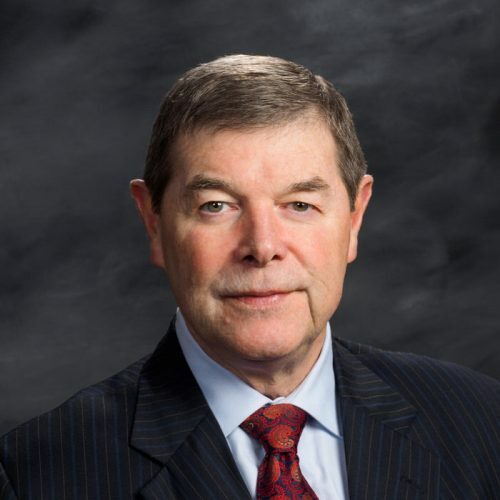 Prior to OSU, Gearhardt developed the Local and Legal Affairs Department at the Ohio Farm Bureau Federation and gained an in-depth knowledge of federal, state, and local governments as OFBF’s senior director of State Legislative Affairs. In addition to reviewing agricultural law issues, he served as a legislative liaison to the Ohio General Assembly for twenty years. Gearhardt developed a private legal practice with a firm in Miami County, Ohio, prior to joining OFBF. Larry is known for his ability to explain complex legal issues in an understandable and personal way. Besides taxation, he has worked in many other areas of law including eminent domain, drainage law, fence law, environmental rules and regulations, transportation, land use and zoning, and conservancy districts. In 2011, the American Agricultural Law Association honored Gearhardt for Excellence in Agricultural Law. He earned his law degree from the University of Toledo Law School and his bachelors degree from Wittenberg University in Springfield, Ohio. Throughout his professional career, Larry, along with his wife, Jane, has farmed approximately 100 acres of land in Miami County.